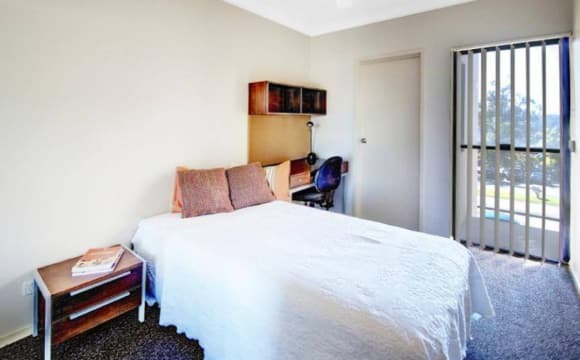 Extra large room $105pw per person as shared room. Fully furnished, lockable, clean comfortable rooms in Upper Mt.Gravatt walking distance to the Westfield Garden City shopping centre. Preferably for non smoking, female, international students (studying or working). Between 18 – 32yrs. No couples. Preferably no parking in premises. No pets. Large garden. Students from different countries. Very multicultural. English speaking environment. 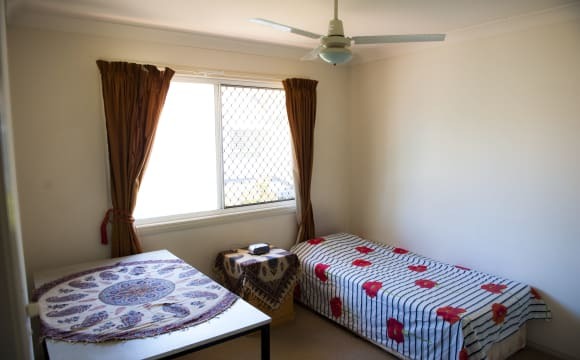 Following are available: 1 private single room till 25th April 2019 for $25 per day. An extra large room. As share room all inclusive rent if $105pw per person. The room has two beds and 2 desks and can be arranged accordingly. One vacancy available. House is fully equipped with utensils, cutlery and crockery. Rent includes water, electricity, unlimited internet and free use of washing machine. Additional fees of $20pw for parking inside premises (off-street parking) if space available. Receipts given for all payments. Location is very safe and with many recreational areas for relaxing, walking and exercising. Walk to bus stops, shops, restaurants, cinema, gyms and public swimming pools. Upper Mt.Gravatt is a fast developing mini city approximately 10kms from the Brisbane CBD and is a transport hub ( check Wikipedia). 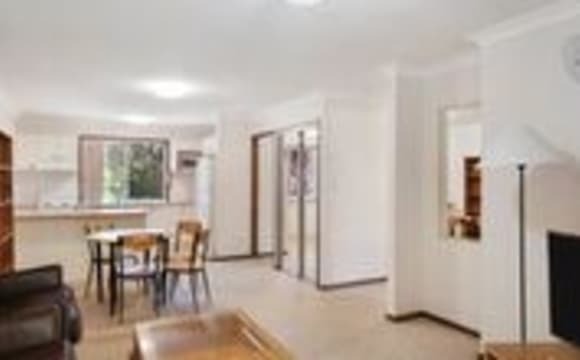 It has excellent transport facilities to many areas from the Garden City (Upper Mt.Gravatt) bus station which is a central bus station and a specially dedicated bus-way. Many job opportunities are available in the shopping centre and surrounding areas. Westfield Garden City shopping centre is one of the largest shopping centres in Brisbane and includes major super market chains and other retail chain stores. Excellent transport with regular and direct buses to many areas. 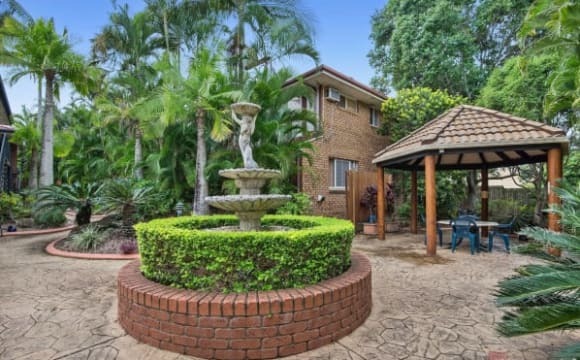 Approximately 15 minutes from the Garden City bus station to the Brisbane CBD, all universities, many TAFEs, English schools and other educational institutions.Approximately 10 mins to Southbank and Sunnybank. Approximately 20 mins to Brisbane Airport, 15 mins to Redland bay and 45 mins to the Goald Coast by car. Google maps may not give right information about transport times. Please check "translink". If further help is needed in this regard you are welcome to request. Excellent references and recommendations from past tenants. Can be provided on request. Deal with owner and no agents. Owner is very understanding, helpful, listens and provides individual attention to requests. Leases are very flexible. No penalties for breaking lease. Whatsapp, viber or skype available if needed for vedio chat. Please request contact details if required. Tips: -	Rents in places with pools, gyms, spas, special security etc may include hidden additional fees for these in the rent and you will not need them all the time. It is a waste of money. They can be obtained for cheap outside when you need only. - If you rent together with others or in apartments you may have to pay internet, elctricity and water on top of rent making your budgeting more difficult as you will not know what these fees are until bills appear. -	It is better to deal with owner as they will be more responsible and care more. May be willing to help when needed. -	It is better to have a flexible contract in case you are unhappy and need to move without penalty. -	A share-house will help you to make lasting friends, help you to learn different cultures and give greater control of noise etc as all house mates will be in the house and you could discuss with them rather than those in outside surrounding apartments over whom you will have no control. Also all inclusive rent in a share house will give you a fixed rent and help you to budget more accurately. -	Share-houses are comparatively cheaper and good value. May have less stringent conditions. - If the owner is in charge and lives closeby your needs will be attended to quickly and you will feel more comfortable. Top of the mountain, great views of the surrounding area. Jump over the back fence, and you're on a trail to the Mt Gravatt Lookout, or the very scenic hiking route to Griffith Uni Campus. Decent sized room, with hardwood floors throughout the property. 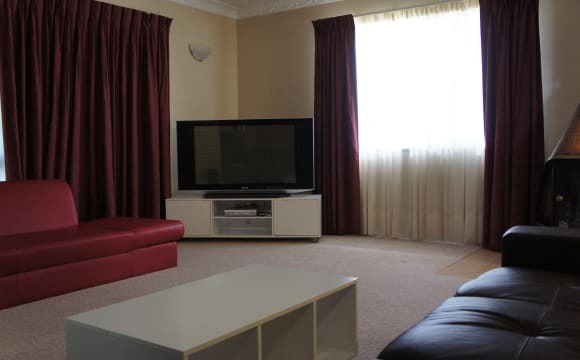 Living areas are very spacious, with unlimited internet and Foxtel (for GoT reasons). 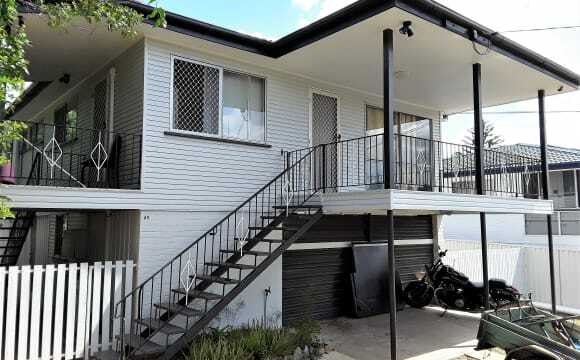 FOR RENT - $230/week Granny Flat in Upper Mount Gravatt Fully self contained granny flat for rent. Rent includes: * bedroom/lounge space (studio layout) * your own fully functioning kitchen we can provide fridge if needed * your own full bathroom with toilet large vanity and large shower * laundry is shared however is downstairs also and easily accessible from the granny flat * parking available on the street (quiet and safe street) * no pets as the owner just put carpet down * non smokers preferred however if so smoking outside only Excludes: * bills. All bills will be split evenly There is a large backyard which would be perfect to have a few people around for a BBQ. Couples may be excepted however price will vary. There are 2 of us who currently occupy the house (above the granny flat). We are both 22 year old single females who work full time monday - friday. We enjoy going out for a few drinks or staying home and binge watching crappy tv shows or movies. We are both very bubbly and outgoing. Smokers are fine as long as it is done outside we don’t care. We are looking for someone aged between 19-35. Unfortunately there are no pets allowed as we already have 1 cat and the flat has just had new carpet put down. ALL RENTS REDUCED!! CALLING ALL GRIFFITH UNI STUDENTS!!!! This purpose built accommodation complex has various unit configurations with rooms available to rent now, offering 4x weeks FREE rent to all 12 month leases and 2x weeks FREE rent to all 6 month leases. Each room is fully furnished and shares a fully equipped kitchen and bathrooms Ideal for students! Great location: - 15 mins to the city - Less than 10 mins to Griffith University - Easy access to the Pacific Motorway - 5 mins to Westfield Garden City Shopping Centre - 10 mins to Sunnybank and Brisbane's best Chinese restaurants - 24 hour McDonald just 2 min away The Hibiscus Sports Complex is located next door to the property - Managed by Brisbane City Council, Hibiscus Sports Complex has facilities for fitness, recreation and leisure including - three pools and a water play area - including a 50 meter Olympic sized outdoor pool, gym, fitness classes and a physical therapy centre - indoor multipurpose courts for netball, basketball, volley ball, futsal and other activities. Bedrooms: Large built-in wardrobe, bed, desk and chair. Internet Available. 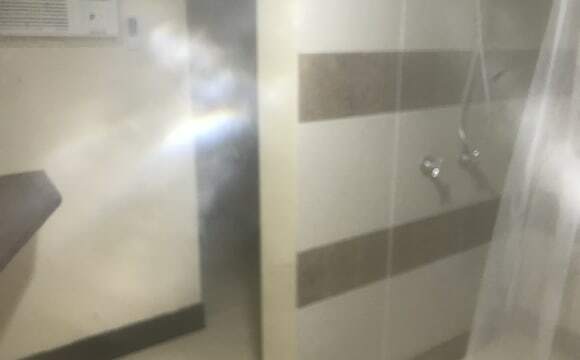 Bathrooms: 1 Large Bathroom and toilet for Block A and B 2 rooms shared 1 bathroom in C Block Common Areas: Lounge, fully equipped kitchen, balcony separate toilet and bathroom BLOCK A A1-ROOM 1 - $130 PER WEEK AVAILABLE 13/03/2019 A1-ROOM 2 - $130 PER WEEK AVAILABLE NOW A1-ROOM 4 - $130 PER WEEK AVAILABLE NOW A1-ROOM 5 - $130 PER WEEK AVAILABLE NOW A1-ROOM 6 - $130 PER WEEK AVAILABLE 15/03/2019 A2-ROOM 1 - $130 PER WEEK AVAILABLE NOW A2-ROOM 3 - $130 PER WEEK AVAILABLE NOW A2-ROOM 4 - $130 PER WEEK AVAILABLE NOW A2-ROOM 6 - $130 PER WEEK AVAILABLE NOW A3-ROOM 5 - $130 PER WEEK AVAILABLE NOW A3-ROOM 6 - $130 PER WEEK AVAILABLE NOW A4-ROOM 2 - $130 PER WEEK AVAILABLE 26/06/2019 A4-ROOM 3 - $130 PER WEEK AVAILABLE NOW A4-ROOM 4 - $130 PER WEEK AVAILABLE 23/05/2019 A4-ROOM 5 - $130 PER WEEK AVAILABLE NOW BLOCK B B1-ROOM 4 - $130 PER WEEK AVAILABLE 18/03/2019 B3-ROOM 2 - $130 PER WEEK AVAILABLE NOW B3-ROOM 3 - $130 PER WEEK AVAILABLE NOW B3-ROOM 5 - $130 PER WEEK AVAILABLE NOW B4-ROOM 1 - $130 PER WEEK AVAILABLE NOW B4-ROOM 2 - $130 PER WEEK AVAILABLE NOW B4-ROOM 3 - $130 PER WEEK AVAILABLE NOW B4-ROOM 4 - $130 PER WEEK AVAILABLE NOW B4-ROOM 5 - $130 PER WEEK AVAILABLE NOW B4-ROOM 6 - $130 PER WEEK AVAILABLE NOW C BLOCK CUL-ROOM 1 - $160 PER WEEK AVAILABLE NOW CUL-ROOM 2 - $160 PER WEEK AVAILABLE NOW CUL-ROOM 3 - $160 PER WEEK AVAILABLE NOW CUL-ROOM 4 - $160 PER WEEK AVAILABLE NOW CUL-ROOM 6 - $160 PER WEEK AVAILABLE NOW CUL-ROOM 7 - $160 PER WEEK AVAILABLE NOW CUL-ROOM 8 - $160 PER WEEK AVAILABLE NOW CLL-ROOM 1 - $160 PER WEEK AVAILABLE NOW CLL-ROOM 2 - $160 PER WEEK AVAILABLE NOW CLR-ROOM 1 - $160 PER WEEK AVAILABLE NOW CLR-ROOM 2 - $160 PER WEEK AVAILABLE NOW CLR-ROOM 3 - $160 PER WEEK AVAILABLE NOW CLR-ROOM 5 - $160 PER WEEK AVAILABLE NOW Don't miss out on these large spacious rooms, so close to Griffith Uni! Book in for an inspection now before they rent out! Rent Includes: Electricity, Furniture, Gardening, Gas and Water. Internte Available: please note Primary internet is CABLE. Tenants to provide their own Ethernet cable. Call to book an inspection and these rooms will fill quickly! 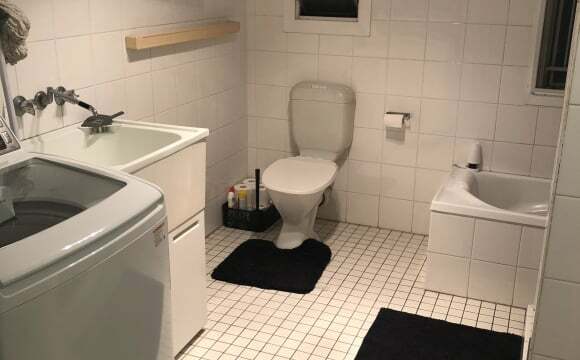 Shared unit with private bathroom. This spacious fully furnished en-suite bedroom in a shared 3 bedroom, 3 bathroom unit is available immediately in this off campus student accommodation complex. Your house mates are two females. The apartment has an air conditioned common area including lounge with TV, dining, fully kitted kitchen with all appliances and laundry with washer and dryer. The rent has been reduced as the landlord hopes to attract a tenant fast. Rent includes electricity, water and internet. 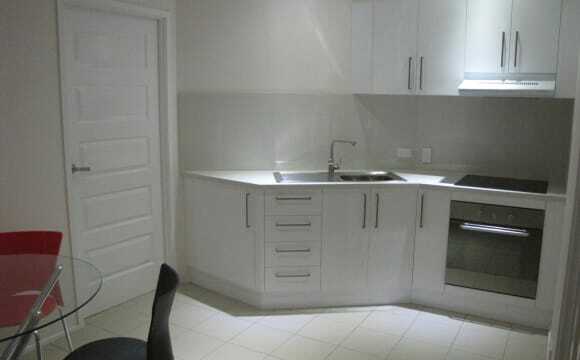 Great location close to Garden City, buses, Coles and many food outlets. Complex has a pool, gym, great security and on-site managers. The complex offers under cover parking, a pool and gym. 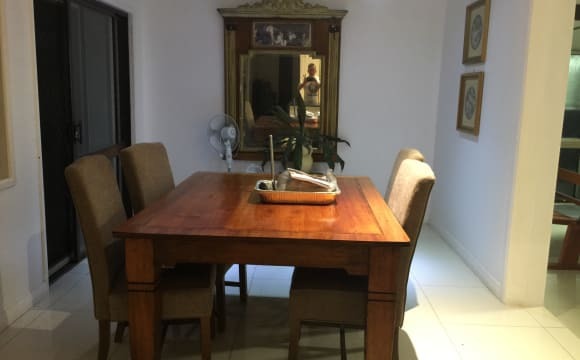 It is in Upper Mount Gravatt and is on a bus route and near all shops and the Bus way. Features &amp; Facilities Furnished apartments to share to meet people and make friends Friendly on-site staff to help students settle and cope with their new challenges Broadband internet access available in every student apartment Outdoor pool BBQ area Laundry in your unit - no coins required Great choice of restaurants nearby Coles for groceries only 100m walk Great security with secure gated complex, security cameras and managers live onsite. We endeavour to create a community where students from every race, religion and culture live in harmony and make lifelong friendships in an environment conducive to study. House is in a great location with easy access to the city via public transport and internet included in rent. Room has Block-out curtains, built in robe, fan and A/C. She has lived in the house previously and when I said I was renting the room out again she jump at the prospect to move back in. She will also be meeting to person that moves in; as I like the house to be friendly. Conveniently close to Westfield Garden City. Bus stop located 100m down the road. Ceiling fans in the bedroom. Bathroom includes bath. $150/week including water, electricity, unlimited super fast Internet, toilet paper, laundry powder and cleaning liquid. Room has all furnitures, 2 single beds including bedding linens/blanket. Sharing bathroom with only 1 person. 2 weeks bond required. 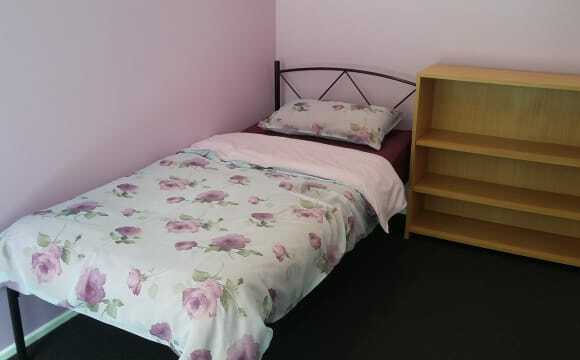 1 good-sized room in a safe, quiet and convenient location, only 10 mins walk to Garden City Shopping Centre and Bus Station (many buses every 5-10 mins). You can find almost everything you need within 10-15 mins walk (all kinds of shops, supermarkets, food, pubs, sport facility, cinemas, transport....). Express Bus to Griffith campus in 5 mins, to UQ or City in 15 min. Drive to the City in 10 mins, Gold Coast in 45 mins. Short term rent is OK. Long term (with flexibility to move out with 2-4 weeks notice if I need the room for personal use) is also welcome. Great location. 200 meters to transport, Coles and Macdonalds. Rooms are all air conditioned. Extra cost for use. 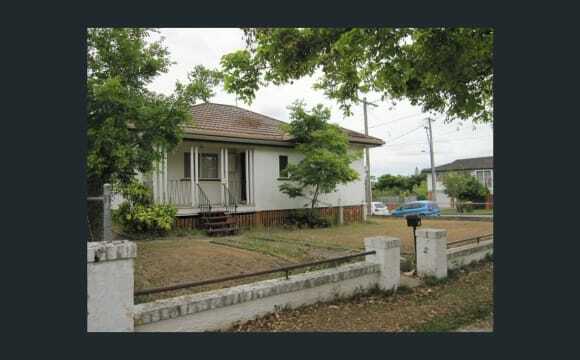 The property is walking distance to Garden City Shopping Centre (800metres away) and is walking distance to pizza hut, McDonalds, subway, hot pot noodles, Coles and a short walk to public transport on Logan or Klumpp RD. There is only one room left at $180 a week and includes all bills. The room also has a brand new Double bed, IKEA study Desk/Chair and large IKEA wardrobe. The house has just been renovated, it has brand new bathrooms and kitchen and is also fully furnished and is ready to move in. Included in the rent is Unlimited high speed internet, electricity and utilities, and a weekly cleaner who cleans all the common areas. The room is lockable for your safety and privacy and there is a carport at the back for your vehicle. If you are interested please contact Maggie. Great location!, within walking distance to Shops, cafe and local bus ways. We have a swimming pool and outdoor patio area for use. The house is located 10 mins walk from Westfield garden city. There is a main bus interchange station near the shopping center, it takes only 15 mins to the city by bus. Pest control is done every year so it's safe from insects etc (landlord pays for this) Fully furnished room witn a huge built-in wardrobe. Unlimited super fast internet (included). Branded kitchen tools for food lovers! Cleaning equipment and chemical provided :) All bills included, no need to pay extra. Quality furnished 3 bedroom unit , 3 bathrooms, located in quiet , gated estate with onsite manager. Coin operated laundrette , estate or street parking (first come basis). Access to pool and gym. 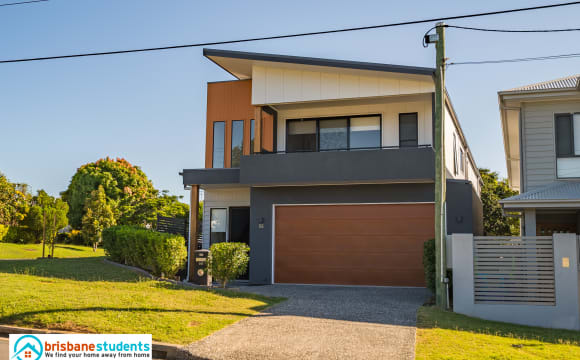 Close to Griffith Uni Mt Gravatt Campus and Nathan Campus, buses and city express buses at door , close to Westfield Garden City and Sunnybank Plaza. 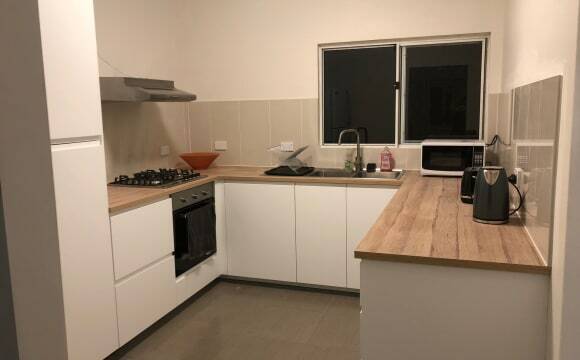 Located in quiet secure estate with onsite manager , access to pool and gym , located in a shared unit with 2 other female tenants , master bedroom with own bathroom and toilet , located close to Griffith Uni Mt Gravatt and Nathan Campus , short drive to Westfield Garden City, buses and city express buses at door. Electricity is separate to the rent and is paid on presentation of account , if internet is required tenant must arrange connection on their own. Take advantage of this price drop and rent a master bedroom with private bathroom and toilet in a shared house for females only. 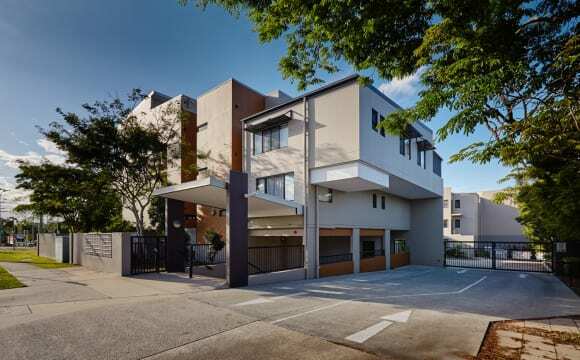 Located in Upper Mt Gravatt in a quiet and secure estate with onsite manager and only a short bus ride to Griffith Uni Nathan and Mt Gravatt Campus , buses and city express buses located at door , access to pool and gym. Please note you must arrange your own internet and phone connection if needed and also electricity is paid for separately on presentation of account and is shared with the other tenants. House is 200 metres to busway at Garden City. Quiet house and street. Housemates friendly, quiet and clean. 3 rooms available. Bring 2 of your friends. NBN unlimited internet. Recent renovated house located in very safe neighborhood. Surrounding is quiet and peaceful. Both the house and the room are fully furnished, build in wardrobe. Westfiled Garden City shopping mall is only 10 minutes walking distance away. It has everything you will need in daily life, such as supermarkets, banks, restaurants, library, post office, clinic, cinema，and so on. Five minutes’ walk to Newnham Road bus stop to catch bus 170 for 30 mins bus ride to go into Brisbane centre. You can also go to Garden City Main Bus Stop, where has many, many buses. For less than 20 minutes, you will be in the city centre. Buses also go to all major destinations of Brisbane and universities, such as Griffith, QUT and UQ. Single room from $160 per week. Including electricity, gas, water, unlimited NBN and gardening. Security garage $10 per week. Working holiday Backpacker and International students are welcomed! Prefer tenant doesn't own a car or willing to rent the garage. Sorry. No pet is allowed. 700m to Garden City Westfield and busway. Quiet house and street. Also at the bottom of the street is the bus 123 to catch around to sunnybank shops. Share bathroom and kitchen with one other house mate. 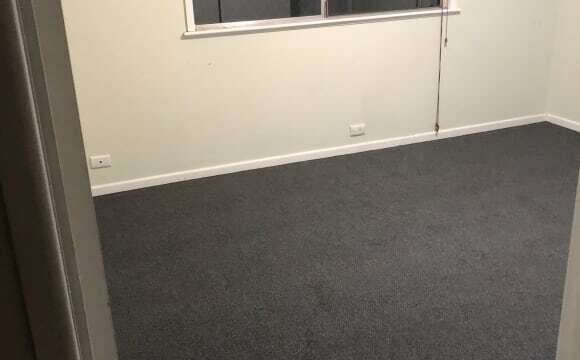 This is a fantastic room for university students or workers that works around the areas. as public transport is very convenient and shopping centre is just walking distance away. 5 minutes away from Garden City 7 minutes from Sunnybank 15-20 minutes from the City. 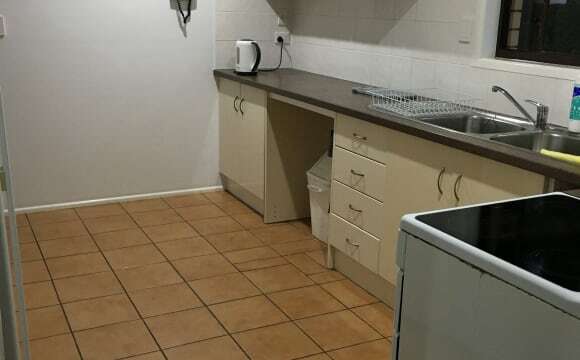 Located in Magregor suburb close to the heart of Garden City Shopping Centre, we have multiple rooms available to accommodate both short term stays and long term stays. This is a shared house with all rooms furnished with a Bed, Fridge, Wardrobe, Desk, and Chair. A convenient location ideal for everyone, especially students: - 15 min walk to Garden City Shopping Centre - 12 min walk to upper Mt Gravatt Bus Station - Coles, Woolworths, Aldi Shops, restaurants and cafes all located within walking distance - Banks, convenient stores and gym all within walking distance Includes in the weekly rent: - Wifi - All utilities(not include AirConditioner and high voltage electronic) - Secure and quiet location Don't hesitate to contact me today for an inspection! 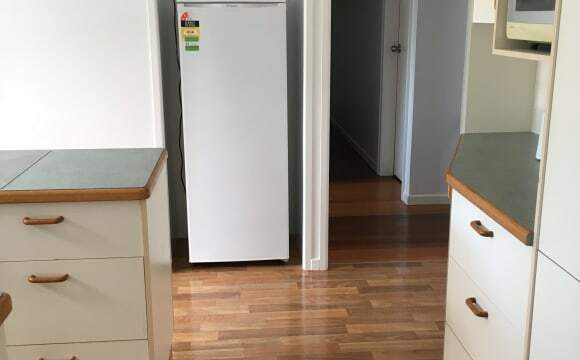 A granny flat for rent in a newly renovated sharehouse which is available on 1st April 2019. The price of rent including all bills (water, electricity, etc.) and unlimited internet. The room has a queen size bed, two bed heads, a new Ikea wardrobe, a new desk and chair with lamp, new dining table and chairs, and standing fan. No aircon as it’s the ground floor so very cool in the summer. You just need to bring your suitcase to move in. Bathroom is in the room and a new kitchen only for yourself. Only laundry is being shared. Outdoor clothesline is provided. 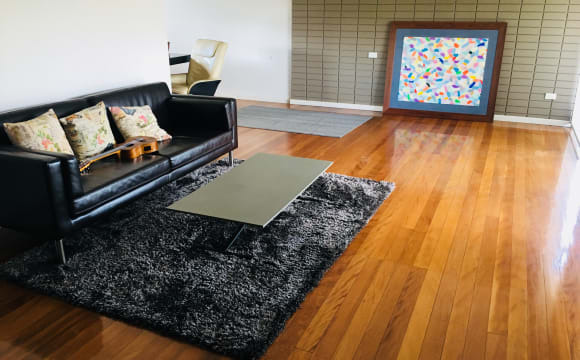 The house is located in a quite street and very clean, walking distance to shopping centres. Easy access to public transport/shopping center: - 2 min walking to the nearest bus stop on Mains Road directly go to Brisbane City, QUT Gardens Point, Griffith University (130, 140, 132, 136, 139, 598, 599, N130, P137). It normally takes only 15' to the city by bus - 10 min walking to Sunnybank Plaza and Market Square where you can find plenty of supermarket (Coles, Woolworths..), cafe, restaurants and food. 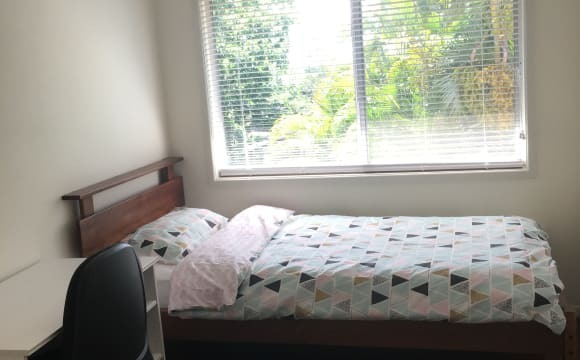 - Also, close to Altandi and Sunnybank train station; - Also walking distance to Garden City To move in you will need to pay 2 weeks rent and Bond (equiv 4 wks rent). Minimum 9 months, move out anytime after 9 months but at least 2 weeks’ notice in advance will be required. Please contact me to arrange an inspection. A single room for rent in a newly renovated sharehouse. The room is available on 20 April 2019. The price of rent including all bills (water, electricity, etc.) and unlimited internet. The room is furnished as in the photos. Bathroom and a separate toilet will be shared with only one female tenant. Washer and outdoor clothesline provided. Also, we share the living room, garden, and kitchen. 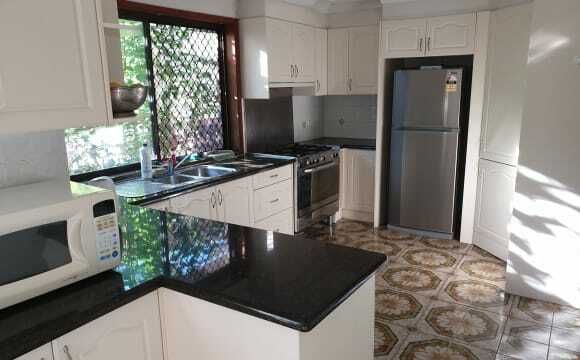 This is a quiet and very clean house, located in a very convenient location in Sunnybank. Easy access to public transport/shopping center: - 2 min walking to the nearest bus stop on Mains Road directly go to Brisbane City, QUT Gardens Point, Griffith University (130, 140, 132, 136, 139, 598, 599, N130, P137). It normally takes only 15' to the city by bus - 10 min walking to Sunnybank Plaza and Market Square where you can find plenty of supermarket (Coles, Woolworths..), cafe, restaurants and food. 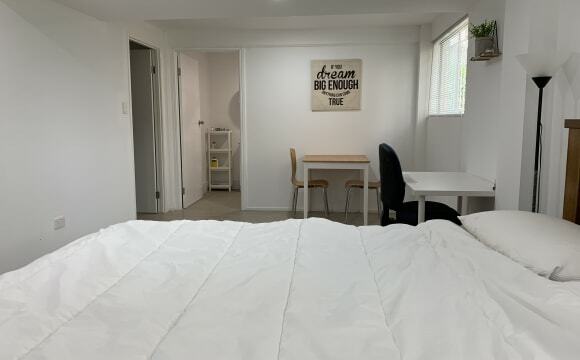 - Also, close to Altandi and Sunnybank train station; - Also walking distance to Garden City To move in you will need to pay 2 weeks rent and Bond (equiv 3 wks rent). Minimum 6 months, move out anytime after but give me at least 2 weeks’ notice. Please contact me to arrange an inspection. A single room for rent in a newly renovated sharehouse. The room is available on 8 April 2019. The price of rent including all bills (water, electricity, etc.) and unlimited internet. The room has a big window, king single bed, built in wardrobe, desk and chair, lamp, private cabinet, and ceiling fan. You just need to bring your suitcase to move in. You'll share a bathroom and a separate toilet with only one female tenant. Washer and outdoor clothesline provided. Shared living room, garden, and kitchen. Price will be reduced by $5 if you're not using the kitchen for cooking. However, you can still use the fridge to store milk, drinks or fruits. 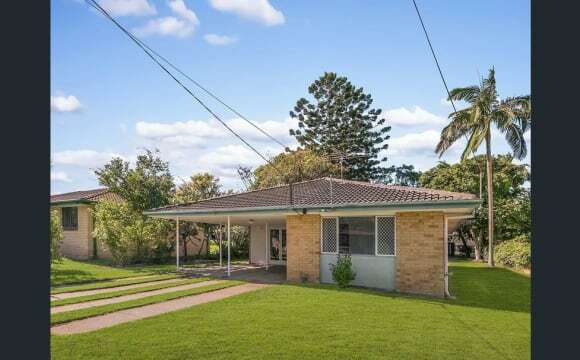 This is a quiet and very clean house, located in a very convenient location in Sunnybank. Easy access to public transport/shopping center: - 2 min walking to the nearest bus stop on Mains Road directly go to Brisbane City, QUT Gardens Point, Griffith University (130, 140, 132, 136, 139, 598, 599, N130, P137). It normally takes only 15' to the city by bus - 10 min walking to Sunnybank Plaza and Market Square where you can find plenty of supermarket (Coles, Woolworths..), cafe, restaurants and food. 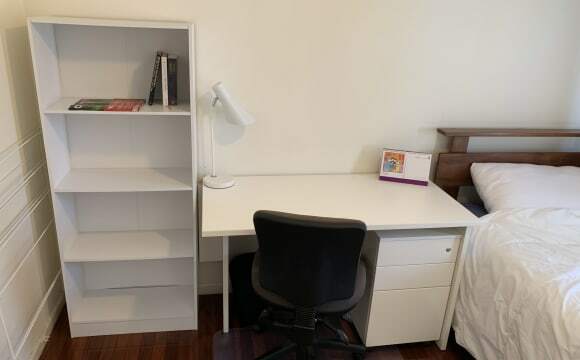 - Also, close to Altandi and Sunnybank train station; - Also walking distance to Garden City To move in you will need to pay 2 weeks rent and Bond (equiv 3 wks rent). Minimum 6 months, move out anytime after but give me at least 2 weeks’ notice. Please contact me to arrange an inspection. 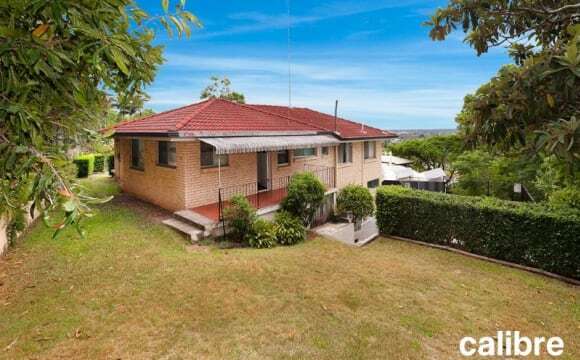 This is a large house located half way between Garden City Shopping Centre and Sunnybank Shops. Only 7 mins walk up the street to Garden City and 9 mins to Sunnybank Market Square. Very quiet cul-de-sac location adjacent to Bulimba Creek nature reserve and Whipbird Park. Room price is good for up to 2 people. Good for couples or friends that want to share. You're also welcome to have friends or family stay for a few days at no extra charge. The room has some basic furnishings. You're welcome to take the room unfurnished or if you like, rearrange with additional furniture that I have in storage. Bus stop (Route 123) is at the bottom of the street which goes back and forth every hour on the hour from Garden City to Sunnybank Market Square and Griffith University. The house is serviced by a cleaner and gardener so you don't need to worry about cleaning common areas such as the kitchen or bathroom or mowing the lawn. A single and a master bedroom in a quiet townhouse located in Wishart right across Garden City Shopping Centre. House has 3 bedrooms and 3 toilets fully furnished ensuite available plenty of space, pool and bbq. The room and door opened to the bathroom which is shared. The master bedroom has 2 fairly large wardrobe and a balcony for relaxing time in upper level. The rent include electricity and unlimited Broadband Network with 10 mbps speed. House is located right close to Exit 14 of M1 with only 15 min drive to Brisbane CBD and 50 min to Gold Coast. At the moment only single bedroom is available from now. The house is in a great and convenient location; close to both motorways, shopping center, supermarkets and restaurants/cafes. A very short walk to bus stops on Logan Rd. The house is spacious while also being compartmentalised, allowing for plenty of privacy yet also comfortable communal spaces. All living furniture/amenities are included (fridge, TV, lounge etc). Netflix and NBN are available however a shared expense. Ceiling fans in every room and a breezy back veranda make it easy to escape the heat. Unused third bedroom can be used as a study. Low maintenance and easy living. So you’re considering moving out and moving in? Why should you come live with me? 🏡 Two bedroom, two bathroom unit. 🛀🏼 Private bedroom and own bathroom with bath/shower. 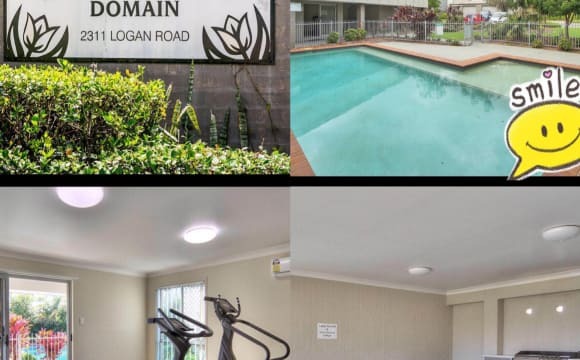 🏊‍♂️ Pool and Spa in complex ⛰ Ideal location: walking distance from mt Gravatt plaza, restaurants, cafes, two gyms and the lookout. 🍱 Short stroll from the Saturday night marketta markets and the Sunday morning fresh food markets. Great for a coffee and breakfast 🚗 Also close to Griffith, TAFE and Garden city Carindale. 💁🏻‍♀️ Quiet, tidy but busy housemate who works full time, trains a bit and enjoys travelling. 💵 hot water as elec split 50/50 💰 bond required. 💻 Open to getting internet for $10 a week extra. 🙋🏻‍♂️🙋🏻‍♀️ Looking for a sensible, respectful and considerate housemate to call this their home as well. No druggies and reference required. 😁 Looking forward to meeting you! Large family home with huge private backyard and deck. Kitchen and living room are away from bedrooms. Very clean and well maintained. Close to parks, bike way, buses and Shops. Located in a quiet street. Rooms are furnished with ceiling fan, bedsides, tallboy, desk and chair. This apartment is new with modern furnishings, the room can fit a queen bed and it has a mirror sliding wardrobe. There a bathroom right next to the room for your use. The room has a fan and the main area has air-con. Unlimited Wi-Fi included. The building has a rooftop BBQ area that is a nice spot for some reading or relaxing. We are close to mt gravatt lookout which has some tracks to run/walk. It is in a great central location regardless of where you need to get to in relation to driving/public transport. There is a bus stop close by and garden city just 5 min away,Woolworth's and shopping plaza just across the road. Plenty of street parking available. 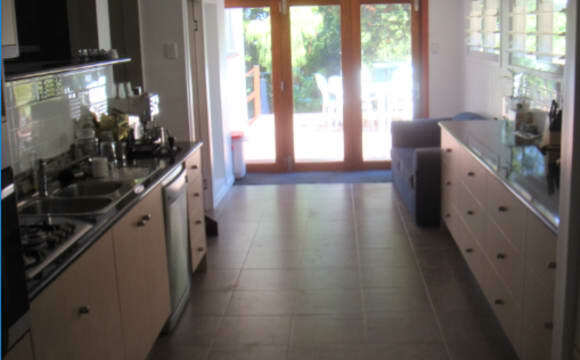 This accommodation is a 2 bedroom granny flat. Room would be suited to a student or someone happy with a king single. Own cooking and living facilities. It is very convenient to Griffith uni. Transport is no problem as buses run frequently. fully furnished double room 165 $ weekly 1 person, all bills included, WiFi NBN 5 G unlimited data. Brand new air con cold and warm function Room has double bed, brand new mattress, built-in wardrobe and ceiling fan. Prefect location, next to garden city shopping centre. 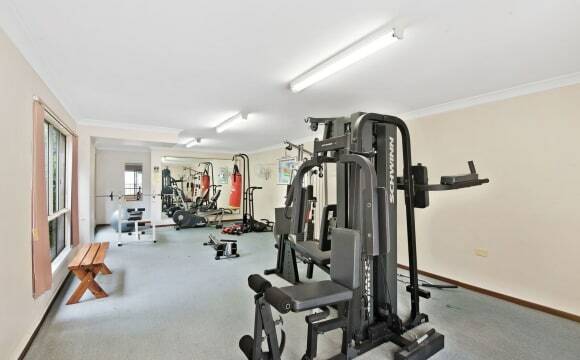 facilities include public swimming pool, gym and BBQ. Plenty of visitor car park. Bus 150,156,157 in the front of house, every 5 minutes in rush hour. 3 minutes one station to garden city; 6 minutes two stations to Griffith mount gravatt campus; 18 minutes to city directly along bus way, no traffic jam. Can change bus 169 to UQ directly in garden city shopping centre Close to M1, M2, M3 high way. 5 minutes Walking distance to eight mile plains shopping centre, including post office and 24/7 cheap price Bella’s fruit market. 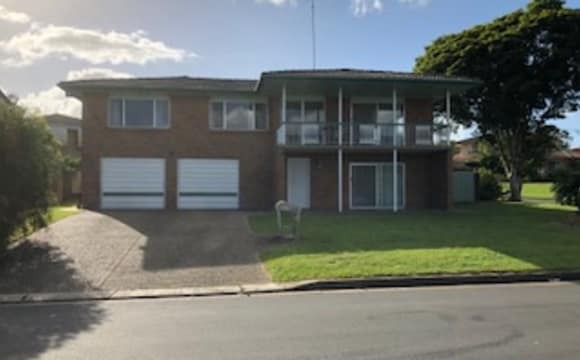 5 minutes drive to Sunnybank, warrigal , Runcorn shopping centre. Currently share mates are students, quiet and friendly. No pet, no smoker and no party. Welcome to arrange time to inspect the room. Brand new air conditioner! Brand new fridge! Nice Pool! Just 5 minutes walk to Sunnybank plaza! 30 seconds walk to bus stop(130 140 139 598)!